It’s important to look after your leatherwork all year round, but with the rain and cold, leather tends to suffer the most in the winter months…but you can help to keep it in great condition. 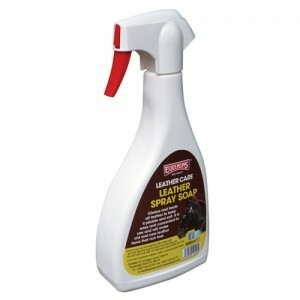 For a quick clean…use Leather Spray Soap. Supplied in a handy trigger spray bottle, this soap makes old leather feel like new and it’s quick and clean to use too. To condition and protect leather, reach for Leather Tub Soap. It comes in a tub to make it clean to apply and can be rubbed into all leather products using a warm moist cloth or sponge. If your leather has become dry and not so supple, add Leather Conditioning Cream to your leather care regime. The soft cream can be rubbed in to leather to help soften and protect it. For the ultimate leather treatment, look no further. This oil penetrates and protects leather from mildew, damp, sweat and dirt at the same time as keeping it supple. 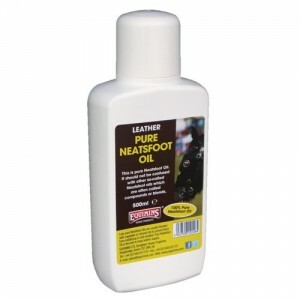 More of a traditional leather treatment, Neatsfoot Oil helps to keep leather incredibly supple, making it ideal for really dry products. 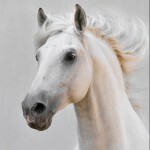 To see our full range, see the website.